The Chimera . 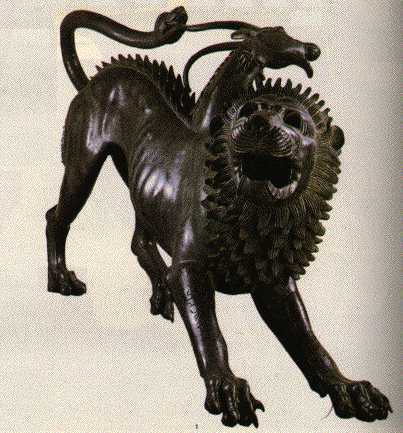 Bronze, end of Vth century bc (Florence, National Archeological Museum). A Centauro . 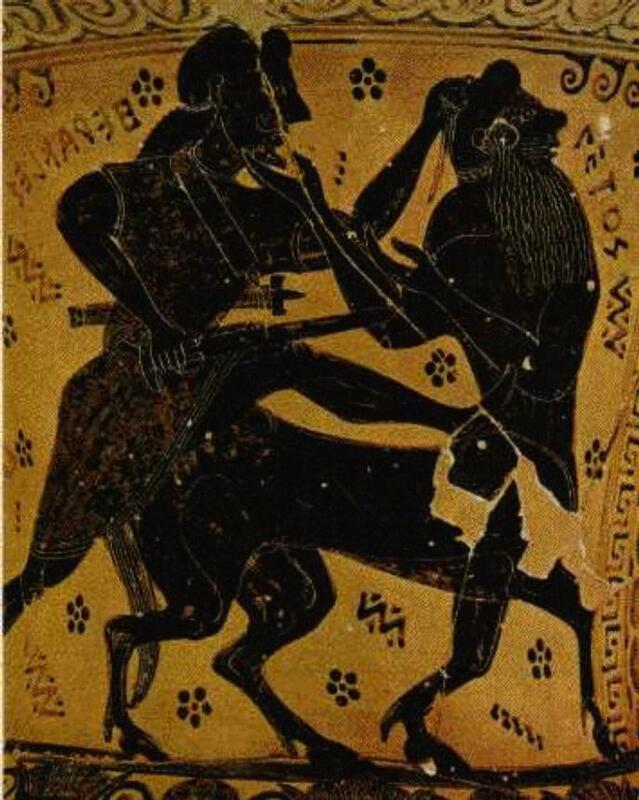 Eracle Uccide il Centauro Nesso , Detail of a Ceramics Vase, end of VIIth century bc (Athens, National Archeological Museum). The Idra . Antonio Pollaiolo, Ercole Abbatte l'Idra , Olio su tavola, 1470 circa (Firenze, Uffizi Gallery). One more Idra . 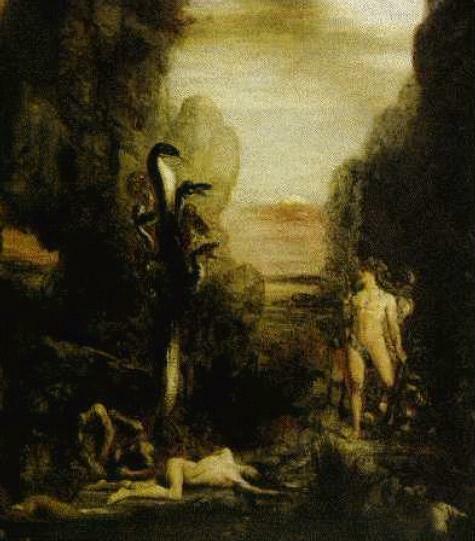 Gustave Moreau, Ercole e l'Idra di Lerna , Olio su tela, 1876 (Chicago, Art Institute). 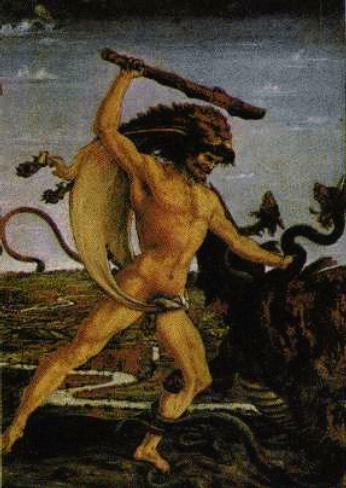 Perseo and the Medusa . 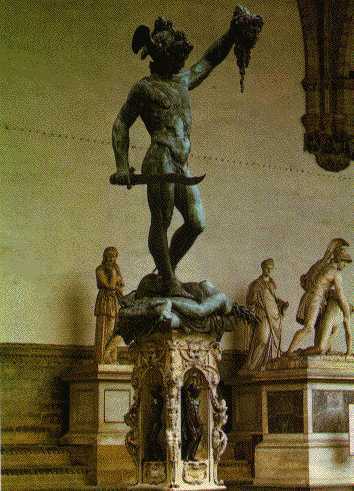 Benvenuto Cellini, Perseo , Bronzo e Marmo, 1545-54 (Florence, Loggia dei Lanzi). The Sfinge . Gustave Moreau, Edipo e la Sfinge , Olio su tela, 1864 (New York, Metropolitan Museum of Modern Arts). 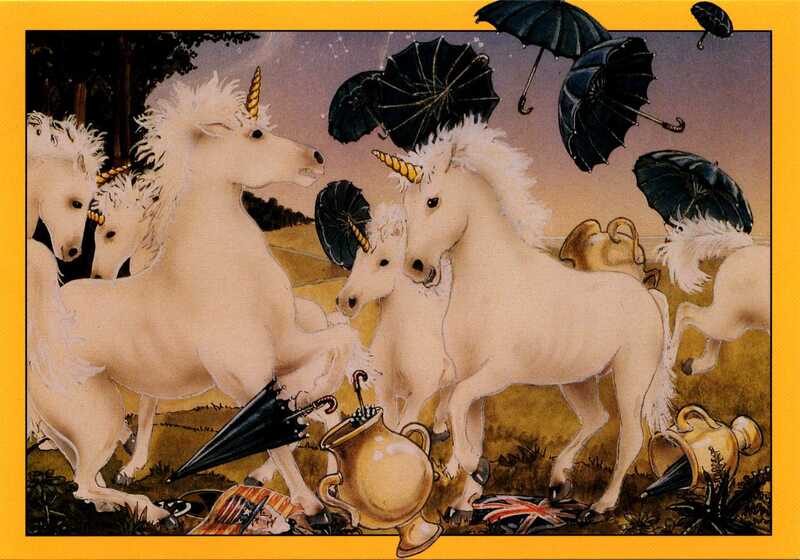 A few modern Unicorns. From the book ANIMALIA by Graeme Base, published by Harry N. Abrams, Inc., copyright Doublebase Pty. Ltd. 1993. Last updated 2008 12 25 by em.